In this Photo Manipulation Tutorial, I will explain how to create an oracle with a nice abstract background. First of all, create a new document. Mine is 1100px wide x 1100px high. Now our first task is to create a nice abstract background. To do this we'll draw a radial gradient down using these two colors: #ebb3bc to #000000. Create a new layer Shift+Ctrl+N . Draw a radial gradient down using these two colors: #fe8fa1 to #000000. Name it bg2. Change the layer Blending Mode to Overlay. Take a new layer. Name it "clouds". Change the foreground color to black and background color to white. Go to Filters-render-clouds. Change the layer Blending Mode to Overlay. It will look something like this. Create a new layer and paint it using brush tool with #13d1ed, as shown below. Change the layer blending mode to Color. 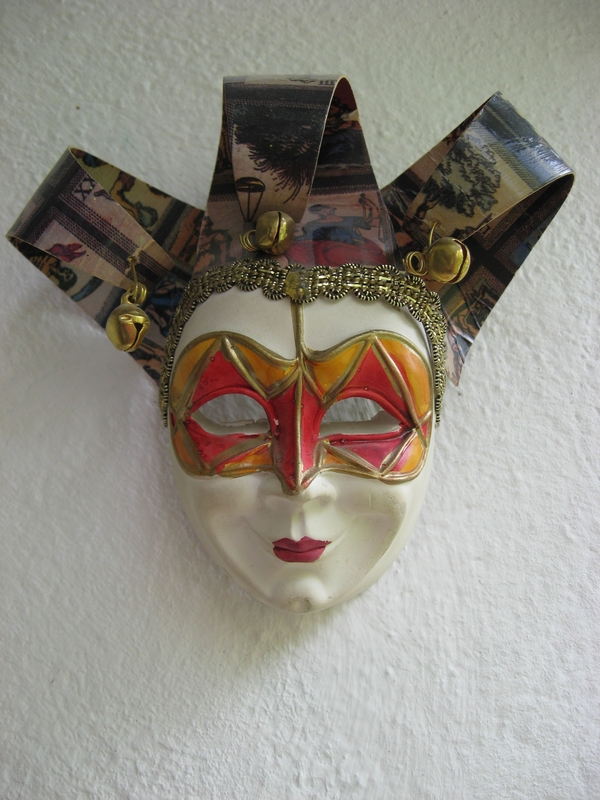 Place the "Venice mask" image on the new layer. Go to filter-distort-wave. Than go to Edit-Fade. Fade it by 40%. Change the layer blending mode to "Soft light"
Place the Venice mask on a new layer. Name it "VM".